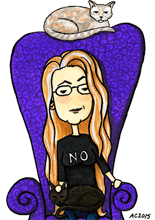 Giant Rats 1: Blogging Again? Giant Rats of Sumatra, page 1: Blogging Again? Ages ago, I started a little project combining the worlds of Sherlock with Edward Gorey and my own twisted mind, and I’ve finally gotten back to it! I scripted a 20-page story based incredibly loosely on the offhand mention in one of the original stories of the giant rats of Sumatra, and I have page 1 here for you. Page 2 is sketched, and hopefully this will start the ball rolling a little faster. I’d like to eventually publish them into a little book, which means that there’ll be front and back art, as well, but I think getting more than 2 pages done is the next step. These pages aren’t for sale yet, because if I do make a book, I’ll try to use Kickstarter to fund it, in which case they’ll be a premium reward level. 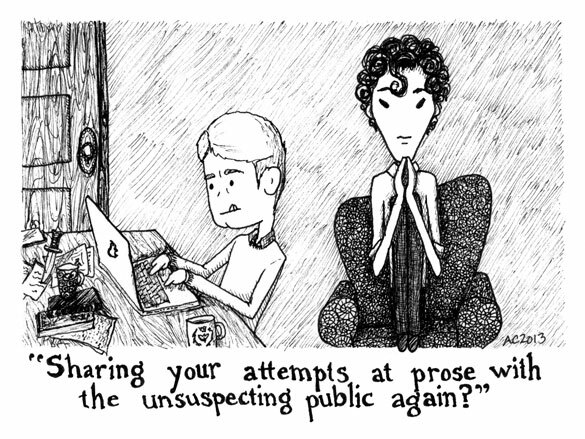 Giant Rats of Sumatra, page 1: Blogging Again?, 7″x5″ pen & ink on paper, nfs (for now). 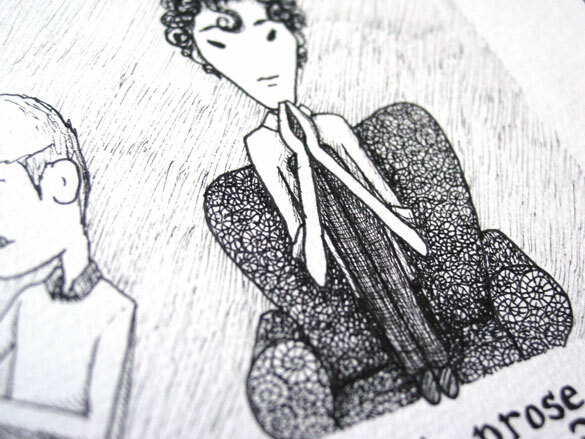 Above, you can see a close-up of the fine pen texture on Sherlock’s chair. 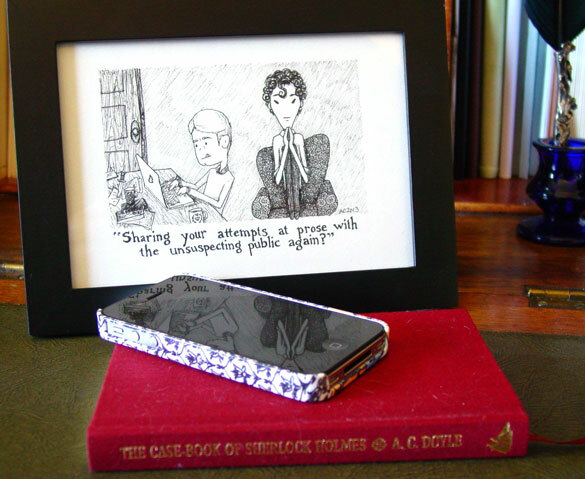 Below, I’ve got it in a frame along with one of my own volumes of Sherlock Holmes. *squeals in delight* I love it. Fabulous texture. And John’s tongue. Oh yes, please, a book! What wonderful news. Point us to the Kickstarter page as soon as it’s available. Thank you! I’m fond of John’s little one-finger typing, myself. Poke. Pokepoke. Poke. Teehee. It’ll be aaaages before the Kickstarter goes up, if that’s the way I decide to go with it — I want the whole thing done before I put up anything, the most successful Kickstarters I know of are basically ready to go except for capital before they start.